For Conventional and Mirrorless DSLR users. 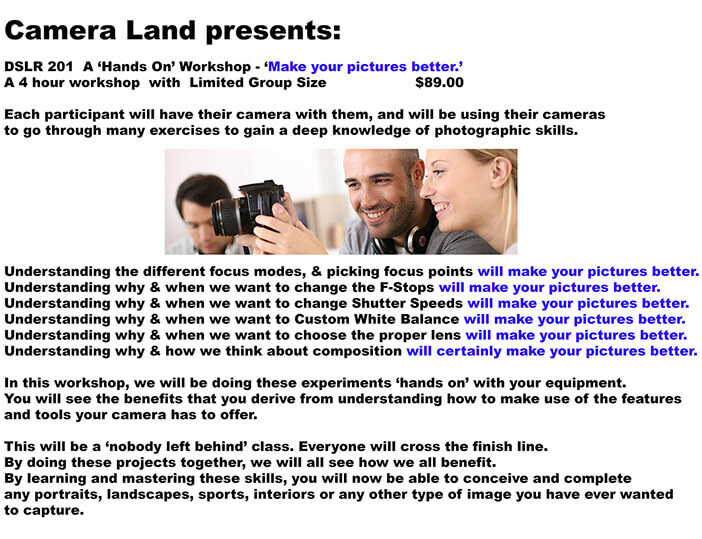 We are excited to announce our new DSLR 201 'HANDS ON WORKSHOP'! This will be an intensive 4 hour workshop with all participants using their own cameras.You will learn many skills and tricks, and how and when to apply them.The goal of this workshop is to embed these ideas in your workflow,and make them second nature to you.